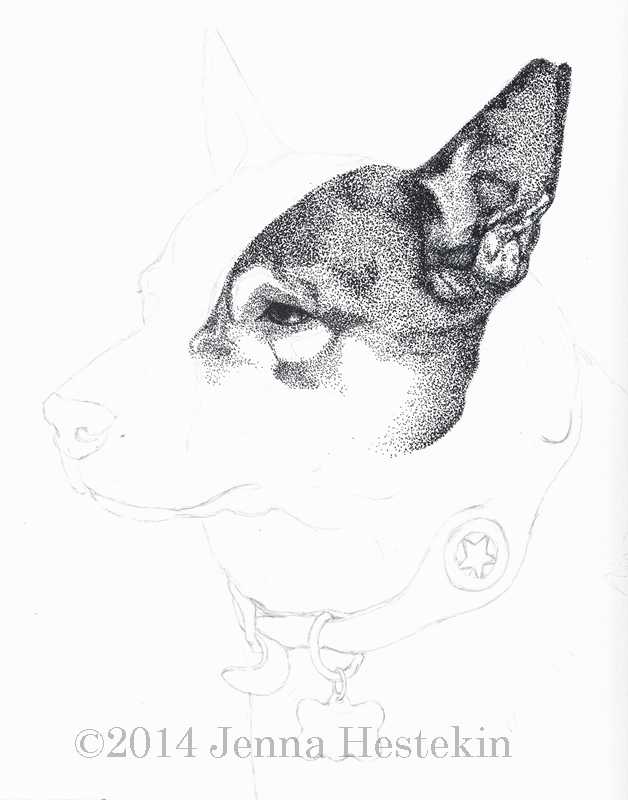 Here is the next part of my work-in-progress of the blue heeler. I tend to be unsure what to say about my WIPs while I’m working on them, as there’s not a lot to explain. I’m just spreading those dots along the forehead and over toward the ear, and down to the eye and cheek. The eye was intimidating to draw, as eyes always are, but it went alright. 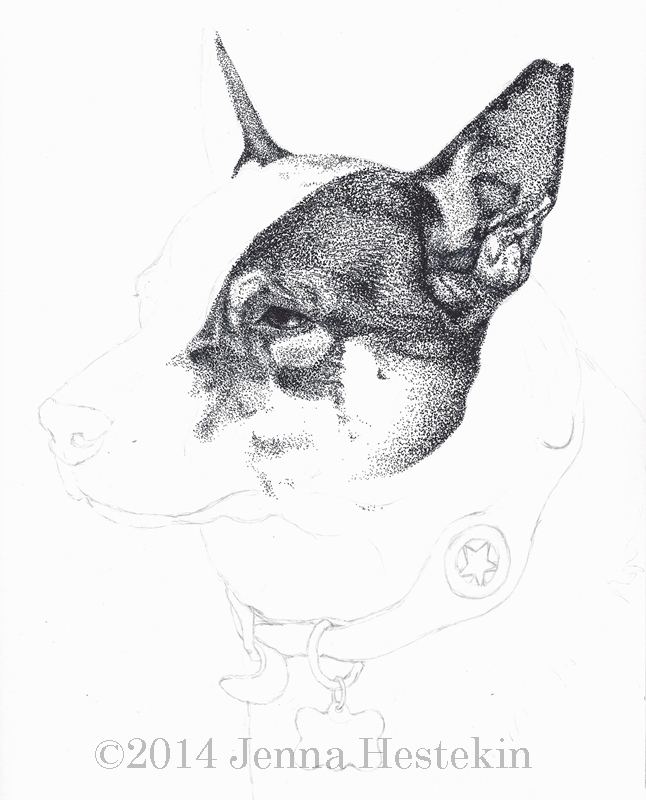 It’s always more interesting to work on a drawing once the eye is firmly in place. That’s very kind of you, Amy, thank you! I’m so happy you like my artwork.